The Studio designed and deployed Genesis StudioPress Themes, a gallery website for a client to display premium and free child and StudioPress themes for the Genesis Theme framework for WordPress. 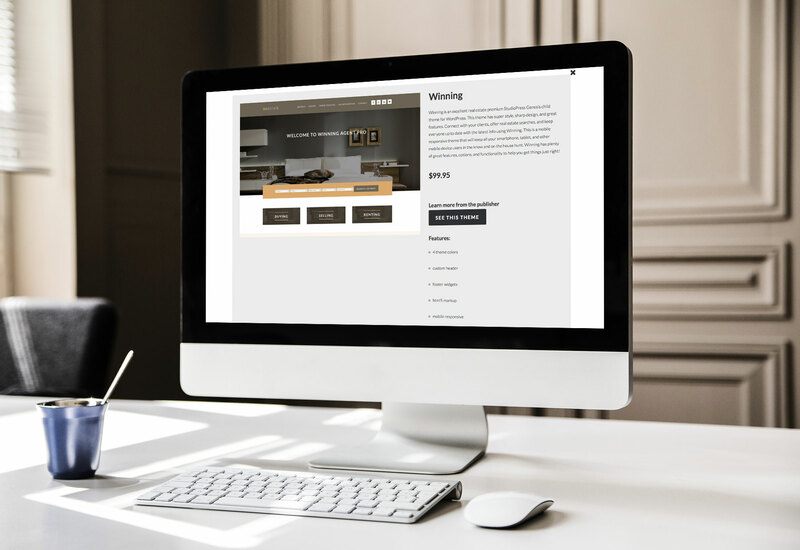 The Studio used a filterable gallery to display the WordPress child themes as well as a nice slide down content areas that displayed child theme details and purchase information when each item in the gallery was clicked on. The client also requested an informational page with a visual info-graph explaining what WordPress, Genesis, StudioPress, and child themes were as well as how they worked and were different. 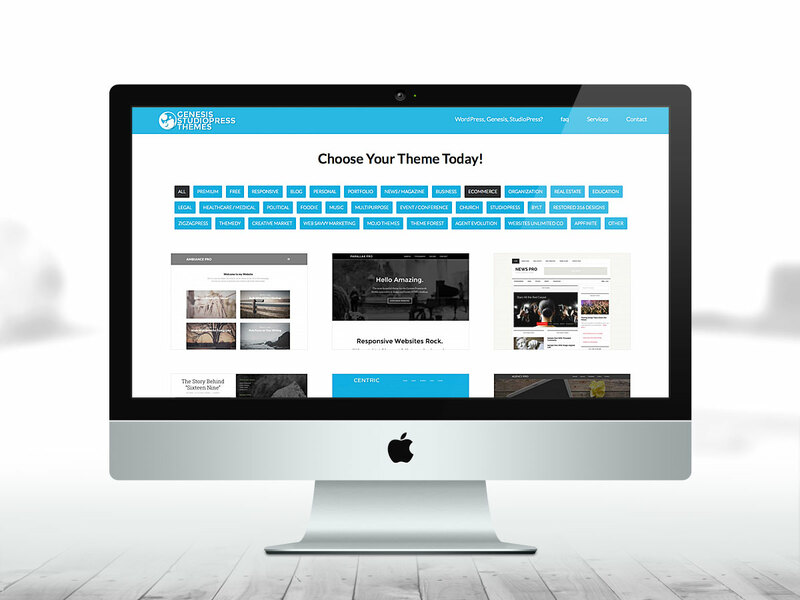 Click here to visit GenesisStudioPressThemes.com.